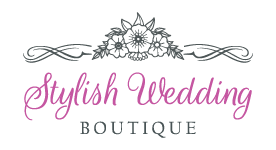 All content on StylishWeddingBoutique Blog is for informational and entertainment purposes only. The owner of this blog makes no representations as to the accuracy or completeness of any information on this site or found by following any link on this site. The owner of StylishWeddingBoutique.com/Blog will not be held liable for any errors or omissions in information nor for the availability of this information. The owner will not be liable for any losses, injuries or damages from the display or use of the information contained within or linked to the blog. StylishWeddingBoutique.com reserves the right to remove and/or exclude any comments from our site at any time without notice; please leave comments that are respectful and will be useful to other readers. StylishWeddingBoutique.com/Blog does not represent or endorse the accuracy or reliability of any information’s content or advertisements contained on, distributed through, or linked, downloaded or accessed in any way from any of the services contained on this website nor the quality of any products, information’s or any other material displayed, purchased, or obtained by you as a result of an advertisement or any other information’s or offer in or in connection with the services herein. You hereby acknowledge that any reliance upon any materials shall be at your sole risk. StylishWeddingBoutique.com/Blog reserves the right, in its sole dis-creation and without any obligation, to make improvements to, or correct any error or omissions in any portion of the service or the materials. THE SERVICES AND THE MATERIALS ARE PROVIDED BY StylishWeddingBoutique.com/Blog ON AN “AS IS” BASIS, AND StylishWeddingBoutique.com/Blog EXPRESSLY DISCLAIMS ANY AND ALL WARRANTIES, EXPRESS OR IMPLIED, WITHOUT LIMITATION WARRANTIES OF MERCHANTABILITY AND FITNESS FOR A PARTICULAR PURPOSE, WITH RESPECT TO THE SERVICE OR ANY MATERIALS AND PRODUCTS IN NO EVENT SHALL StylishWeddingBoutique.com/Blog BE LIABLE FOR ANY DIRECT, INDIRECT, INCIDENTAL, PUNITIVE OR CONSEQUENTIAL DAMAGES OF ANY KIND WHATSOEVER WITH RESPECT TO THE SERVICE, THE MATERIALS AND THE PRODUCTS. 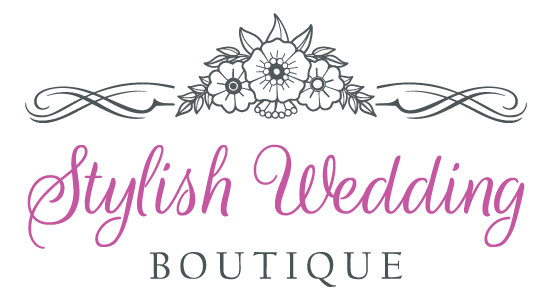 StylishWeddingBoutique.com/Blog respects the rights (including intellectual property rights) of others and we ask our users to do the same. StylishWeddingBoutique.com/Blog may in appropriate circumstances and its sole dis-creation, terminate the accounts of users that infringe or otherwise violate such rights of others.